Whether you have a toddler or a teen, eating and eating the right foods is fundemantal to their growth. Healthy kids become healthy adults. 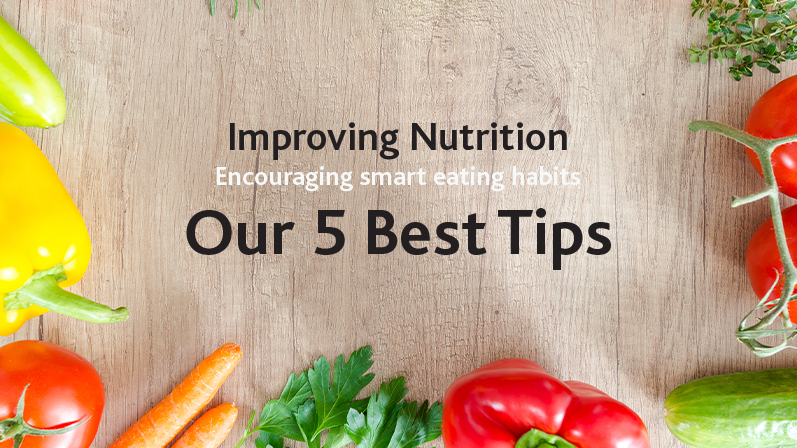 Eat Right, Eat Smart, Be Smart! Sure, eating well can be difficult – family schedules are hectic and grab-and-go convenience food is readily available. But by instilling some good eating habits as part of your busy household, you are preparing them for a healthier and better life. Be a role model by eating healthy. A family that eats together, stays together. Kids love the predictability of family meals and it’s a great way to reconnect with each other. Kids that take part in regular family meals are more likely to eat fruits, vegetables, and grains and less likely to snack on unhealthy foods. Kids will generally eat what’s in the cupboards until they are full or the cupboards are empty. It’s essential to control this supply line of what they eat for meals and snacks. Having ready-to-eat vegtables, fruit, wholegrain crackers, cheese and yoghurts at hand will enable them to make a healthy choice. Kids learn from their parents, so eat well yourself. Lead by example and try to keep a positive approach about food. Don’t over indulge in the less nutrional stuff. By eating fruits and vegetables, you’ll be sending the right message. Eat Right, Eat Smart, Be Smart! To avoid the well intentioned shouting match or bribe to get your kids to eat, give them some control in what they eat, but control what their choices are. Allowing them to choose will empower them and belay any negative association with food and meals. No matter what it is – if you get the kids involved, they are more likely to adopt the new routine, eating habit or chore. Get them involved in the meal planning, assist with the shopping and preperation of the meals. Not only do you encourage healthier eating, but you get to spend more quality time with them. Your kids are not likely to choose a salad over a plate of hot chips after one night, but the meal time habits you help create will lead to a lifetime of healthier eating and healthier living. If you feel you need more time in the kitchen to create these healthier options, then why not give Rubix a call and we will handle the kids transport to and from home and school so you have more time to prepare your meals so you all can eat right, eat smart and be smart! Rubix Transfers – promoting healthier happier more balanced lifestyles! I so agree with your mission on healthy eating. I exposed my two daughters from early on to good healthy food choices. today, 30 years later they appreciate good food and are even making better choices in food and also other sustainable product choices. Thanks for your input and glad you lied out post. The great thing about healthy choices is the fact that they generally spill over into other areas of your life. We wish more parents would follow your example.